"Sweet and tart in a glass!!" 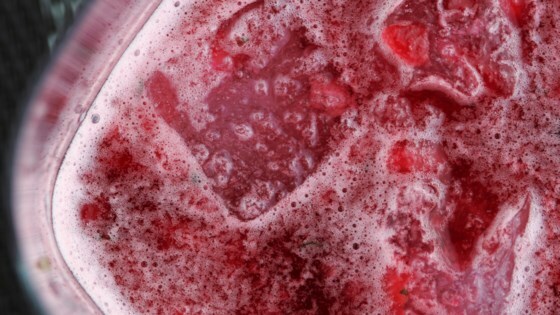 Place the ice, Cointreau, rum, and pomegranate syrup into a blender, blend until smooth. Moisten the rim of a tumbler with the cut edge of the orange slice, and dip the glass into the sugar to line the rim. Pour the granita into the glass, and garnish with the orange slice to serve.